Trailing just one step behind the top reason people give for not being able to travel abroad (which is money, by the way, in case you were wondering), is visa formalities. 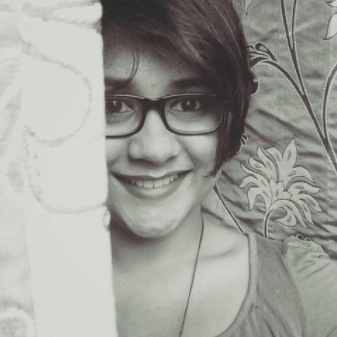 For anyone who has struggled with the umpteen procedures necessary to procure a visiting visa for a country abroad, the problem is more than just applying for one - it’s also about the time taken for it to be processed, that should align perfectly with the dates you’ve picked for your holidays. 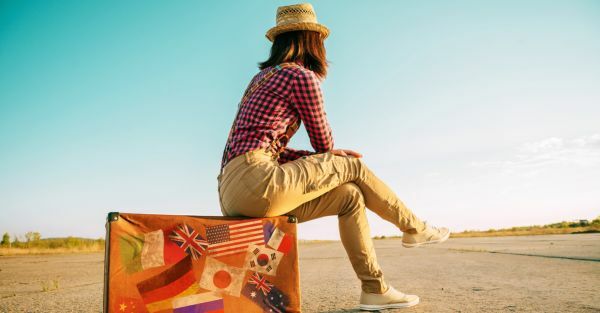 Keeping in mind the needs of every wanderlust-bitten traveller ever, we bring you a list of places around the world you can visit, where you won’t have to apply for a visa beforehand. All of these countries listed, issue visa on arrival for Indian citizens so that you aren’t left high and dry, fidgeting anxiously about your vacation, at all! Why Vanuatu: For a history steeped in rich culture, isolated beaches, and hidden treasures of nature, including hiking up to visit a crater of an active volcano! Rules of visa: As long as you have a passport and a return ticket available, you can stay in Vanuatu, visa-free, for a period of 30 days. Places to visit: Mount Yasur Volcano - Live life on the edge by picturing yourself peering into rumbling and exploding molten lava storm in the heart of an active volcano, and live to tell the tale; Hideaway Island - not as much hidden as a much-coveted spot for diving and snorkelling, the island has a marine sanctuary and the world’s only underwater post office from where you can send a waterproof postcard; Millenium Cave - around 50 metres high, and 20 metres wide, the route to the magnificent cave is speckled with gorgeous waterfalls, beautiful rainforests and plenty of sunshine! 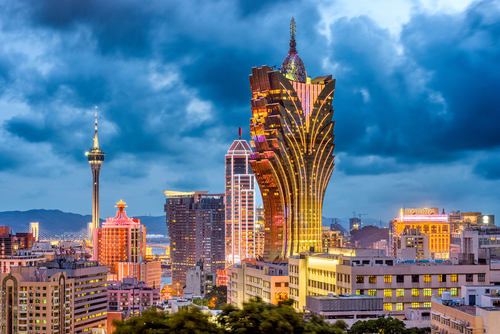 Why Macau: It’s known as the ‘Vegas of China’, and is the perfect place for glitz, glamour, and (for those who want to indulge) trying your luck at making a fortune at the casinos. Having been a Portuguese colony for more than 300 years, your visit is going to be punctuated with temples, phenomenal cuisine, and a whole lot of culture. Places to visit: Senado Square - a popular venue for celebrations, the square’s mosaic coloured stones are wave-patterned, and surrounded by beautiful buildings dating back to the period of the Portuguese colonisation; Galaxy Macau - 52,000 square meters oasis gardens, 4,000 square meters of the world’s largest Skytop Wave Pool and more than 50 food and beverage outlets are just a few of the features of this lush resort destination. How to get there: Most international flights from major Indian cities fly to Macau International Airport. 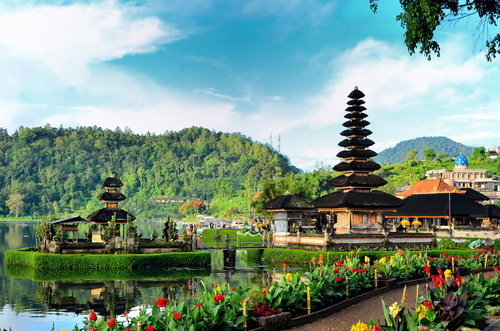 Why Indonesia: Because apart from the trademark values of calm and serenity, Indonesia also has a lot of happening places for all your party needs! It’s also considered the ultimate destination for a girl trip - one that you’re not likely to forget anytime soon! Rules of visa: As an Indian citizen, you are permitted to stay in Indonesia for a period of 30 days without procuring a visa. Places to visit: Head to Mirror Club to groove along to the latest hits and stay up all night with your girlfriends; pamper your pores and treat yourself to only the best at the hair cream bath at Amo Spa, or the luxurious treatments at the Prana Spa; and walk over to the Sukawati Art Market to shop till you drop or visit the Seminyak Square for the quirkiest restaurants, pubs, and boutiques to truly indulge in everything that Indonesia has to offer. How to get there: You can reach Indonesia via international flights from Delhi, Mumbai, Bengaluru, Hyderabad, and Chennai. 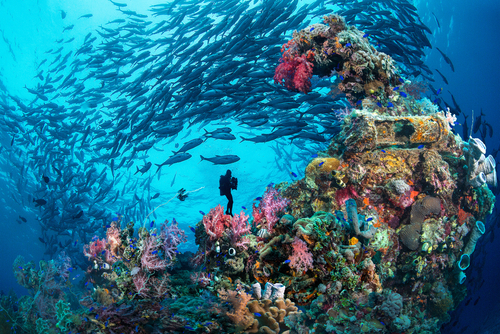 Why Micronesia: The four major island states comprised of around 607 individual islands, is a cluster of the most diverse aquatic biodiversity you could possibly imagine, in the depths of an ocean. Scuba diving, snorkelling, canoe, and kayaking are just the tip of the iceberg when it comes to adventure sports exploration in Micronesia! Rules of visa: With a passport that has a minimum of six-month validity from the date of entry, and booked return tickets, Indian citizens are exempt from requiring a visa for 30 days. 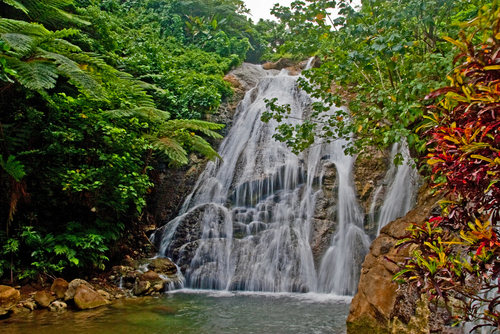 Places to visit: Kepirohi Waterfall - one of the most popular waterfalls in Pohnpei, the 20 meters long waterfall is made of basalt stones, and the breathtaking base is perfect for swimming, loved by both locals and tourists alike; Nan Madol - steeped in ancient history, the place was marked as the capital for the Saudeleur Dynasty and a centre for religion and politics, which also held the location for the tombs and residences of the royal family; Mount Tonaachaw - known as the abode of the legendary God Souwoniras and his son, is a popular site for water sports, and you can still see the prehistoric carvings above the falls, etched on the basalt rocks, from ancient times. How to get there: Taking a direct flight first, from any major Indian city to Guam, and then hop on flights that are available from Guam to Pohnpei International Airport. Why Bhutan: To sample a slice of the happiest country in the world, when you need a break from the mundane metropolis life! Rules of visa: As an Indian citizen, all you need is a valid photo ID proof (such as your PAN card or driver’s license), and a pre-confirmed hotel booking to be able to procure a permit from the Bhutanese custom office that will grant you a week’s stay in the country, after which you may need to return to customs to renew it, in case you wish to prolong your stay. 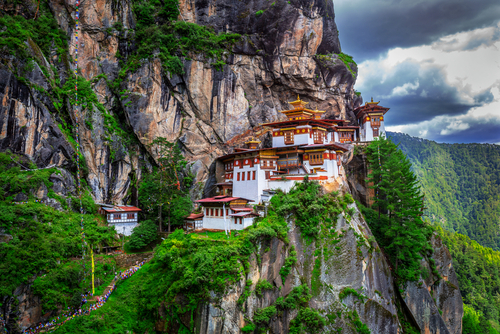 Places to visit: Paro Taktsang - also known as Tiger’s Nest, a sacred site where, according to Bhutanese lore, Guru Rinpoche flew to the site on the back of a tiger and meditated when he brought Buddhism to Bhutan in the 7th century; Thimphu - the capital city of Bhutan is nestled in the arms of the gorgeous green mountains surrounding it and looks right out of picture-perfect postcards; Bhutan Textile Museum - a centre dedicated to promotion Bhutan’s achievements in the textile industry and to encourage weavers to continue the art of traditional textile patterns in Bhutan. How to get there: Druk Air - Bhutan’s only airline - has scheduled flights across the year that you should look up much in advance. You can also travel by road through the border town of Phuentsholing situated at Jaigaon, West Bengal.